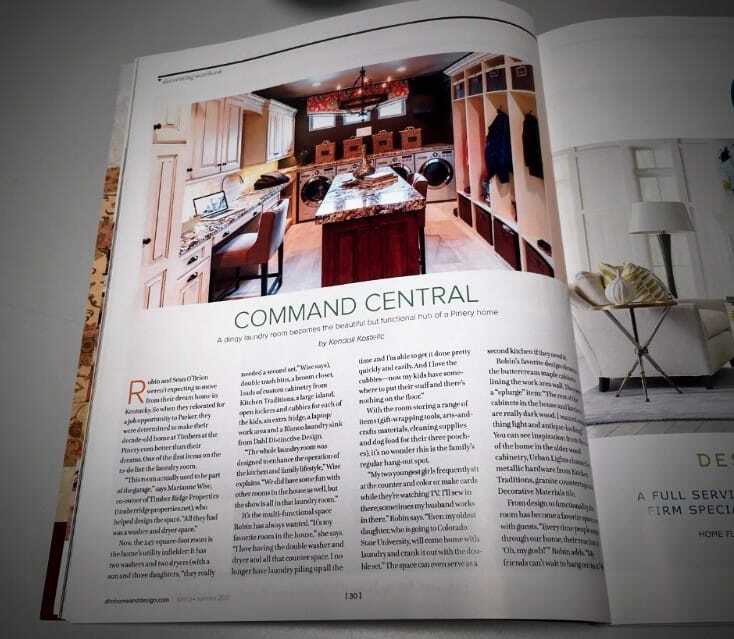 This summer, we had the distinct honor of being featured in the Spring/Summer 2017 issue of Denver Life Home + Design for our luxurious laundry room redesign, aptly dubbed “Command Central”. This multi-functional space was originally a part of the garage, and quickly became one of the first items on the new resident, Robin’s, to-do list. Today, the 245-square-foot room serves as the stylish and functional epicenter for family activities. 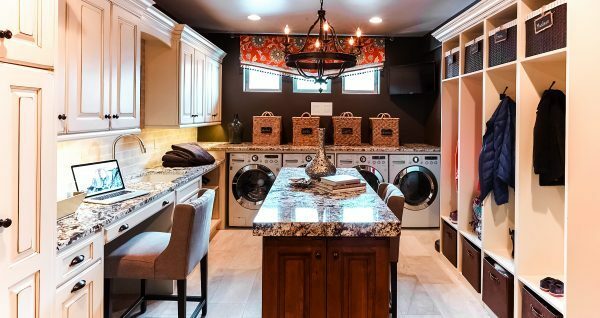 It hosts not one, but two washer and dryer sets to facilitate the laundry needs of four children. The room is also an organizational heaven, with double trash bins, a broom closet, loads of custom cabinetry from Kitchen Traditions, a large island, open lockers and cubbies for each of the kids, an extra fridge, a laptop/ work area and a Blanco laundry sink from Dahl Distinctive Design. Robin’s favorite design element are cabinets lining the space. In contrast to the cabinets in the rest of the house, which are a dark wood, these are a gorgeous, light buttercream maple. Click here to visit the Denver Life Home + Design website, and view the full write-up.